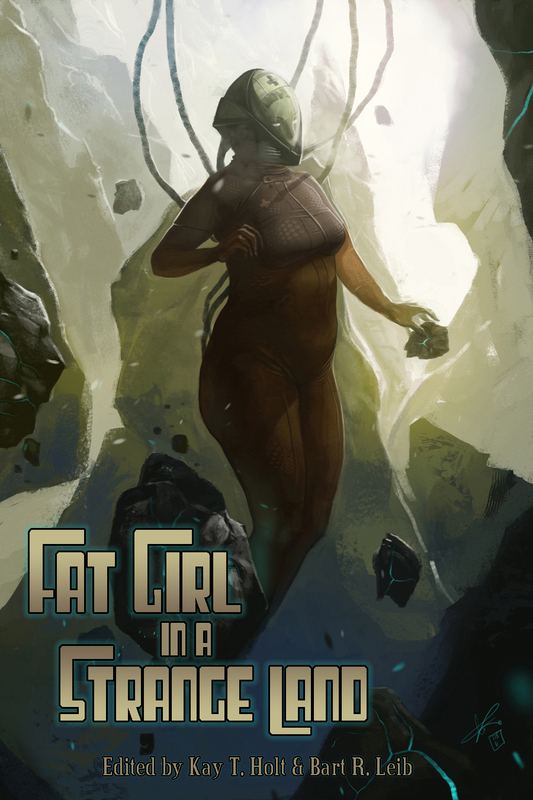 This is a short story collection dealing with two things: overweight women and fantastical locations. Aside from those criteria, the collection is quite diverse. 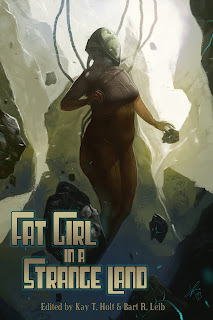 The stories are a mix of fantasy and science fiction, in some the women are comfortable with their weight, in others they aren't. The stories that take place on earth are situated all over (Guatamala, Australia, New York City), and though most of the authors are American, there are several from other countries as well. The quality of stories is quite high, and in all cases the women are sympathetic protagonists. Ultimately this collection showcases a great variety of plus sized women. ***** "La Gorda and the City of Silver" by Sabrina Vourvoulias - La Gorda, The Fat One, was born into a wrestling family but told she could never enter the ring. She makes the Guatamalan streets of City of Silver her ring, wearing a mask and making the streets safe for women and girls until a masked menace comes. This is a touching story of wanting to be more than you are, and more than society allows you to be. It's about heroes and sacrifice. It's not really a science fiction story (as no one has superpowers), but it is a well written story. **** "The Tradeoff" by Lauren C. Teffeau - Commander Clarinda Hilliard is on a mission to begin the terraforming process on Caldwell, an ice planet. In order to work long hours in the cold, her and the other members of her team must bulk up. She's left very uncomfortable in her new body. The examination of a woman who's become fat, if on purpose, is interesting. Many women are uncomfortable with their bodies, so it's a story with realistic underpinings and an interesting look at food rationing in the future. *** "Cartography, and the Death of Shoes" by A. J. Fitzwater - A city woman whose size belies how much walking she does and how many shoes she goes through, tries to find the cobbler shop she remembers as a child where she got a perfect, lasting pair of shoes. The author puts a fun spin on an old trope though I wasn't a fan of the rather unusal second person singular the story was written in. **** "Survivor" by Josh Roseman - Overweight Wen Irons is the only survivor when her graduation party shuttle crash lands on Sidqiel. She's told by a Sergeant on the nearest space station that she must walk 35 kilometers to an old research substation on the planet before sunrise 7 hours away or she will be killed by the radiation. A great story about persevering under pressure, both physical and mental. **** "The Right Stuffed" by Brian Jungwiwattanaporn - Two large women are hired for what they're told will be secretarial positions, but turn out to be something else. This story deals with a digital world and utilizes its protagonists in an interesting way. ***** "Tangwystl the Unwanted" by Katherine Elmer - It begins with a princess stuck in a tower, but if you think this is a retelling of Repunzel, think again. Elmer combines several fairy tale motifs to create a new story, about a young woman fed daily fairy cakes with no room to exercise. This is a fun story that has the dependence on 3s so prevalent in fairy tales. Tanny's a great character who never learned that being large is a problem and so merely considers it objectively as her situation changes. **** "Flesh Of My Flesh" by Bonnie Ferrante - Alina's not thrilled to learn her fiancee is en route to the distant alien planet where she provides translation He's controlling and she's learned to love her new home. Creepy story and quite short. *** "How Do You Want To Die?" by Rick Silva - A group of captured soldiers escape the desert city of Ahman and run into a sand storm. Their leader, Donna Stone, contemplates how she'd like to die. This is an atmospheric story. The author packs a lot of character detail into Donna, considering the setting and length. ***** "Nemesis" by Nicole Prestin - When Flux, a size 14 soccor mom who can manipulate molecules (think Kitty Pride of the X-Men), joins Liberty Force, she's dismayed by the attitude of one of her teammates and the press about her size. She quickly proves that intelligence and skill are what make a superhero. This is the only story in the collection to have typos. Most notably, the team is called Liberty Force five times and Omega Force three. That aside, it's a brilliant story, the type that makes you want to cheer for the heroine who's completely comfortable with who she is and won't take grief from anyone or change herself to meet others' standards. ***** "Davy" by Anna Dickinson - The unnamed narrator of the story suffers from post-partem depression and excessive weight gain. In an attempt to help his despondent wife, her husband buys a painting. All is not well when the wife starts seeing grey, elf like figures emerge from it. Another creepy story with antecedents in old folk and fairytales. *** "Sharks & Seals" by Jennifer Brozek - Corelli, a member of the First Circle of the Order of the Sacred Eye, is asked to a meeting with the leader of the Children of Anu. This story felt like a prologue or first chapter to a novel. While it was self-contained, as I reader I was left wanting more. *** "Marilee and the S.O.B" by Barbara Kransoff - Marilee's hobby when depressed is to follow interesting looking people and see where she ends up. Her latest target is an overly good looking boy on the subway. An interesting premise, with a classical ending. **** "Blueprints" by Anna Caro - The unnamed narrator of this dying earth story wants desperately to travel to Terra Nova, a beautiful, unpoluted planet. But people above a certain weight are denied transport on the grounds of health. An interesting look at getting what you wish for versus knowing what you want. ***** "Lift" by Pete Alberti - Teenaged Mary Beth determines to build her own spaceship after friends tell her she's too fat to ride in theirs. A great story about hard work and effort paying off in the end. And that some friends aren't worth keeping. Ultimately I was happy with this collection. I would have liked more stories where the protagonists were not bullied/teased about their weight or where they were content with their weight despite outside criticism. However, the collection does pack a lot of realistic emotions into its stories, exploring a number of different personalities and situations. Want some great stories with a character set that's usually ignored (as far as being the protagonist is concerned)? Then pick this collection by Crossed Genres up. Thanks for your kind words for "La Gorda." In a lot of ways it is more fairy/folk tale than anything else - only what informs it is Guatemalan traditional tales and pop culture luchador movie mythos (both unfamiliar to a lot of people). I'd be delighted to hear what you think of my debut novel, INK, if you were to read it after it is launched by Crossed Genres Oct. 15 (it, too, draws on Guatemalan tales and traditions, to some extent). Again, thanks for the mention & the stars! I really enjoyed your story. It was a great one to start the anthology. I supported the CG kickstarter campaign, so INK is one of my 'rewards'. Can't wait!